Brokers Bernard Uechtritz, left, and Sam Middleton at ranch headquarters in Vernon, 13 miles north of the ranch. FOR SALE: Largest ranch in the U.S. within a single fence. Texas fixer-upper with more than 1, 000 oil wells; 6, 800 head of cattle; 500 quarter horses; 30, 000 acres of cropland; tombstones for legendary cowboys, long-dead dogs, and a horse buried standing up. Favorite of Will Rogers and Teddy Roosevelt. Colorful history of drinking and divorce. Fifteen-minute drive to rib-eyes at the Rusty Spur in Vernon. Ideal for Saudi oil sheiks, billionaire hedge funders, and dot-commers who can tell a cow from a steer. Profitable. Zero debt. Property taxes only $800, 000 a year. Price: $725 million. Uechtritz (YOO-tridge) is one of two brokers entrusted with the singular task of selling the Waggoner ranch and everything attached to it, from the 29 tractors, to the cut-rock polo barn, to the emptied bottles of Old Taylor bourbon in an abandoned hunting lodge. At 510, 527 acres (207, 000 hectares), or 800 square miles (2, 072 square kilometers), the Waggoner sprawls over six counties and is bigger than Los Angeles and New York City combined. At almost three-quarters of a billion dollars, the asking price is more than quadruple the biggest publicly known sum fetched by a U.S. ranch, $175 million for a Colorado spread in 2007. 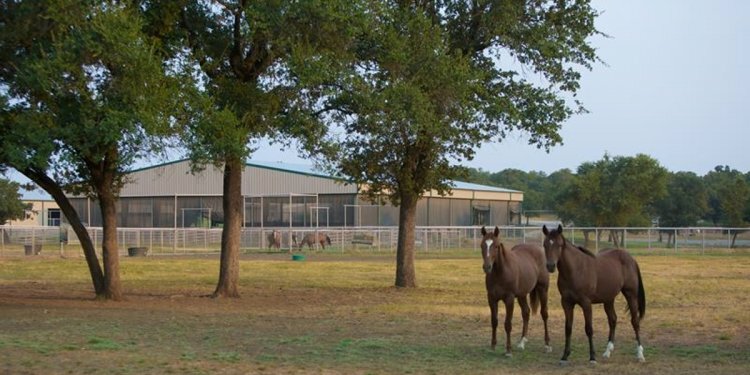 The Waggoner is one of the 20 largest cattle ranches in the U.S. and is known worldwide for its quarter horses. It’s been owned by the same family almost as long as Texas has been a state. Last year, a judge in Vernon—a town of about 11, 000, 13 miles north of the ranch—ordered a sale of the property and appointed Uechtritz and a co-broker to market it worldwide. The ruling of District Judge Dan Mike Bird ended more than 20 years of litigation between opposing branches of the Waggoner family who couldn’t agree whether to liquidate the property or split it up among themselves.